Luxury cruise line Cunard and 20th Century Fox have partnered to roll out the red carpet when Queen Mary 2, hosts the world premiere of 20th Century Fox’s “The Greatest Showman” in December 2017. “The Greatest Showman,” starring Hugh Jackman, Michelle Williams, Zac Efron, Rebecca Ferguson and Zendaya, is an original musical that tells the story of visionary P.T. Barnum and how he created the Barnum & Bailey Circus. The film, directed by Michael Gracey and written by Jenny Bicks and Bill Condon, with original music by Oscar®- and Tony®-winning duo Benj Pasek and Justin Paul, will debut in cinemas nationwide on January 1 2018. P.T. Barnum sailed multiple times on various Cunard ships to cross the Atlantic between New York and England. His most notable voyage was in 1850 when he invited legendary opera singer Jenny Lind (the “Swedish Nightingale”) to come to America with him to be part of his show. They sailed into New York on Cunard’s Cambria with almost 40,000 fans greeting them at the docks. Scenes from the movie were shot in the original U.S. headquarters of Cunard, a magnificent Italian Renaissance-style landmark building located at 25 Broadway in lower Manhattan. In addition, a number of scenes were shot in Brooklyn, Queen Mary 2’s U.S. homeport. “The Greatest Showman’s” Emmy Award®-winning costume designer Ellen Mirojnick will also sail in December on the Transatlantic Crossing from New York to Southampton following the premiere, offering talks on her career and showcasing her designs from the movie while mingling with guests. 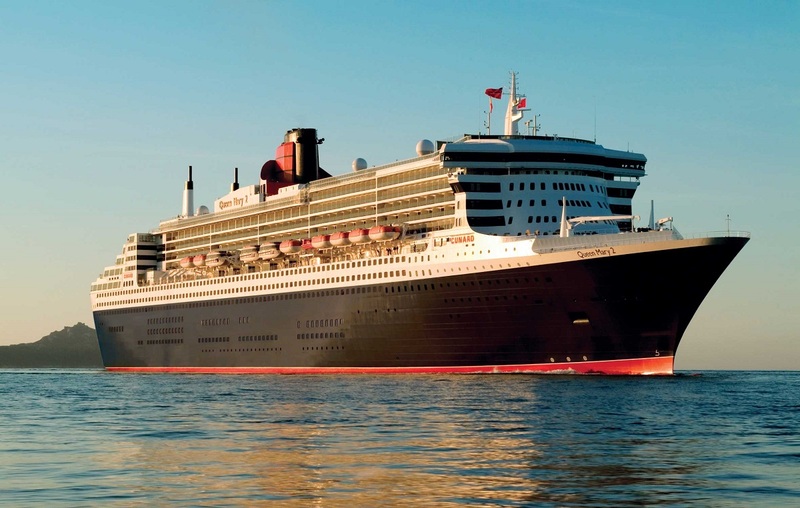 Cunard has a long history of hosting celebrities and exclusive events on their ships. Luminaries from Elizabeth Taylor and Rita Hayworth to Wes Anderson and Tilda Swinton have sailed with the line. Sting performed songs in Queen Mary 2’s Royal Court Theatre, Carly Simon filmed her “Moonlight Serenade” DVD on board, and Francis Ford Coppola sailed recently to work on his craft while at sea.